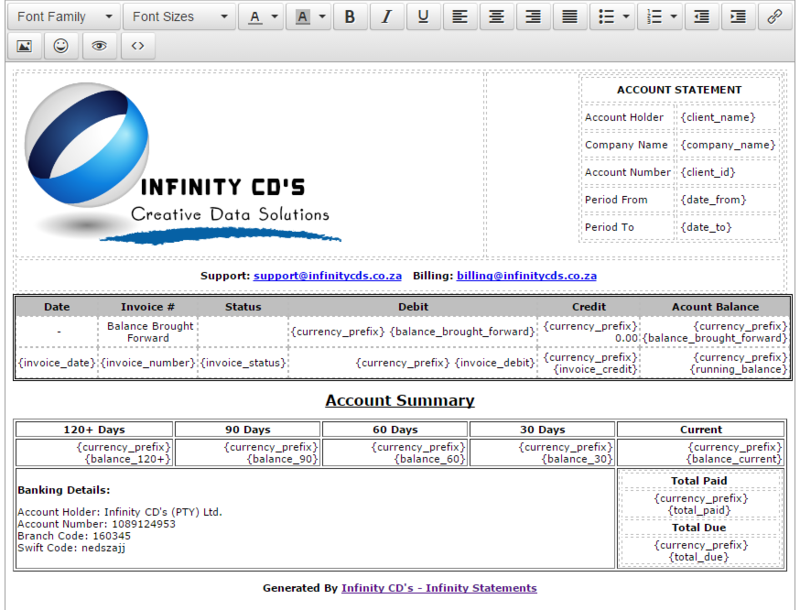 Infinity Statements allows you to customize your template. We include a default template when the package installs, But we do allow you to change the template as you see fit. The only rule that always applies is, when you want to show the list of transactions, all the variables you want to list, must be included in a table row (<tr> </tr>) tags. The rest of the template can be changed and adapted as you see fit. To update the Account Statement Template just follow the steps below. Edit the template as you see fit using the WYSIWYG editor. When you are finished, Click on the Source Code for TinyMCE. 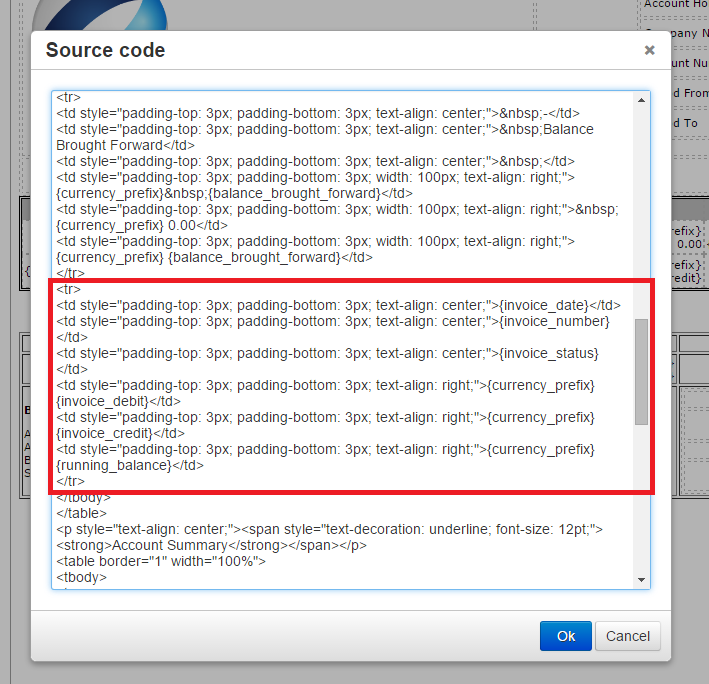 Select The <tr> - </tr> tags and the content in between for the row need needs to be used to populate the statement. And copy the entire row. Paste Contents of the <tr> - </tr> in The Transactions Identifier Text Area. We recommend doing adding the Transactions Identifier field everytime you edit the template, as TinyMCE may clean up the code and then it will change compared to the code you pasted previously.